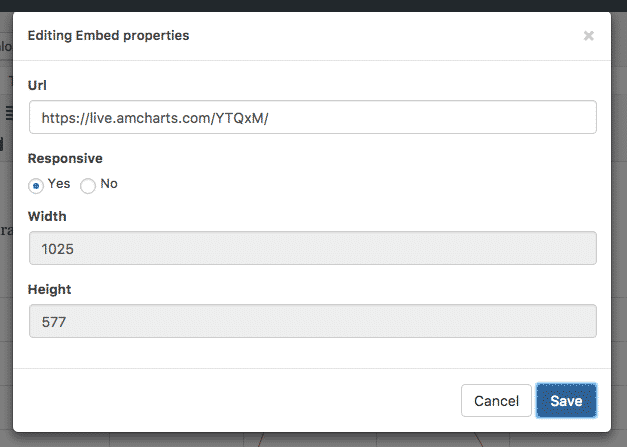 With EmbedPress, you can add AmCharts to WordPress, using just a URL. AmCharts embeds are possible, but they’re not easy to use via normal methods. EmbedPress is different. With EmbedPress, you don’t have to mess around with embed code. All you need is the AmChart URL. 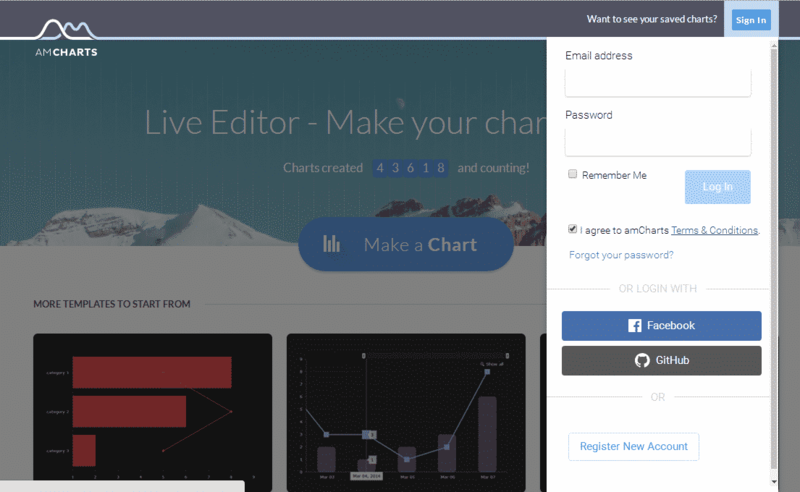 Here’s how to embed any AmChart into your WordPress site, using the EmbedPress plugin. EmbedPress is a very helpful plugin that expands and improves on WordPress’ capabilities. Install EmbedPress and your WordPress site will have far more powerful media capabilities. Click here to find EmbedPress on WordPress.org. 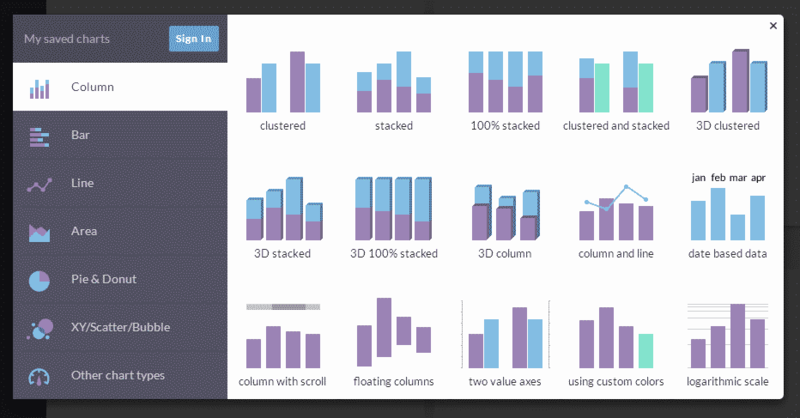 You now go to a chart builder page, where you can choose from a variety of Chart Styles. Once you are done with creating your chart, you will have to save it and give it a name and description. Make sure that the “Public” checkbox is selected by default. After you save the chart, click the “Publish & Share” button which will take you to the chart detail page. 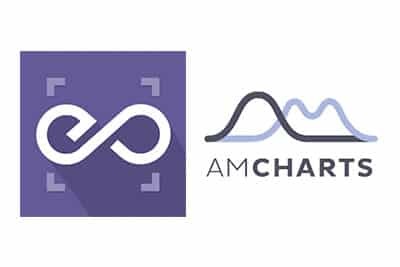 Now you have the AmChart URL, you can add it to WordPress. Edit a post or page, or another content type. 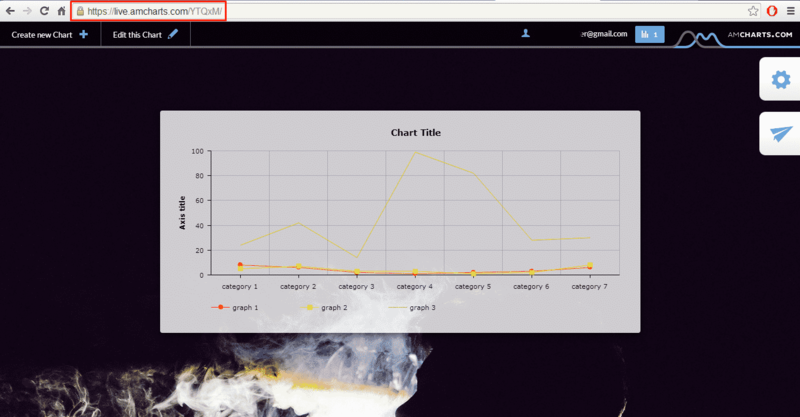 Add your AmChart URL into the content area, with the “Visual” tab enabled. When you’re finished, you’ll see a real AMCharts embed, just like this one below. Test this example, and you’ll see that these embeds are 100% responsive! Click the pencil you will see a pop-up screen with more options.